It seems Summer finally has arrived, even though the other night was pouring rain! 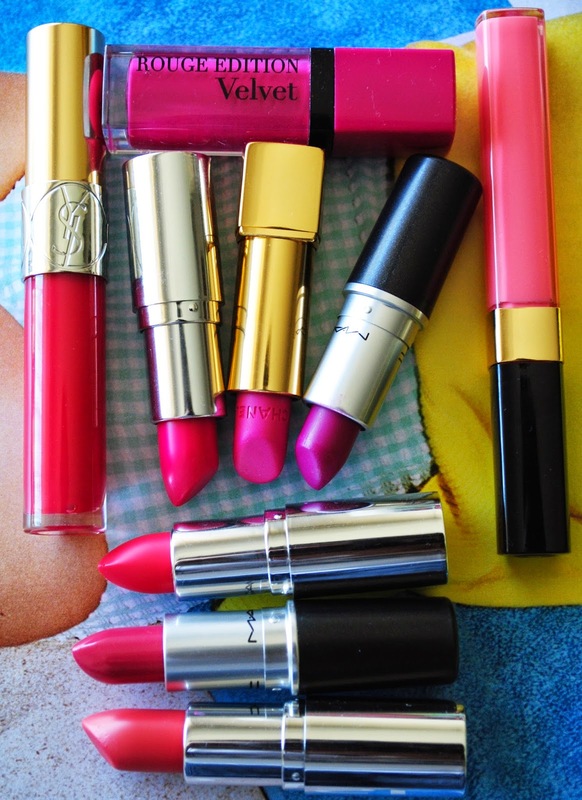 But as I´m typing this the sun is out, so I thought it was the perfect day to write about my favourite lip colours for summer, in case you couldn´t tell there are mainly hot pink! 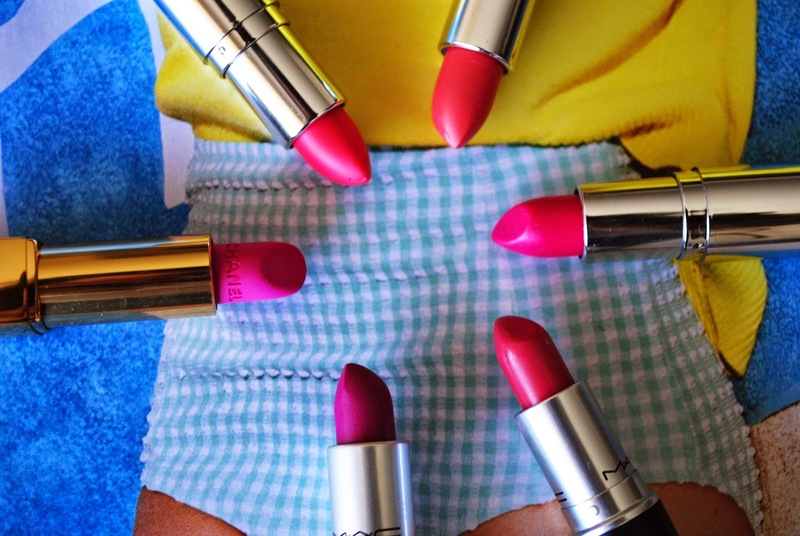 - Mac Lustering ( Strawberry colour) It´s a luster finish so is a little more sheer and moisturising.